Applying false eyelashes can be challenging at times, but after you learn these step by step tricks, it will be just as easy as the rest of your usual makeup routine! 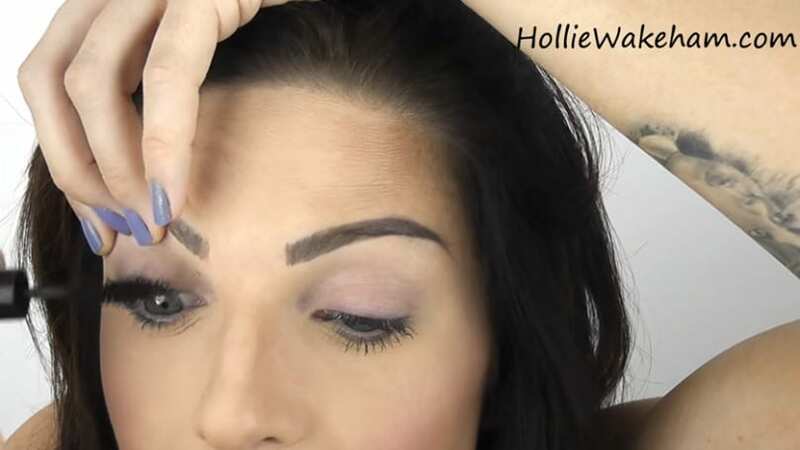 If you still have a difficult time mastering false eyelashes, follow this tutorial to learn how to put them on in the easiest and simplest way. Remember: practice makes perfect, so don’t be scared of them because they tend to eventually break anyway. What matters is that you can control them! Check the video below to see how it’s done! Get started by curling your eyelashes and putting mascara on them as usual. 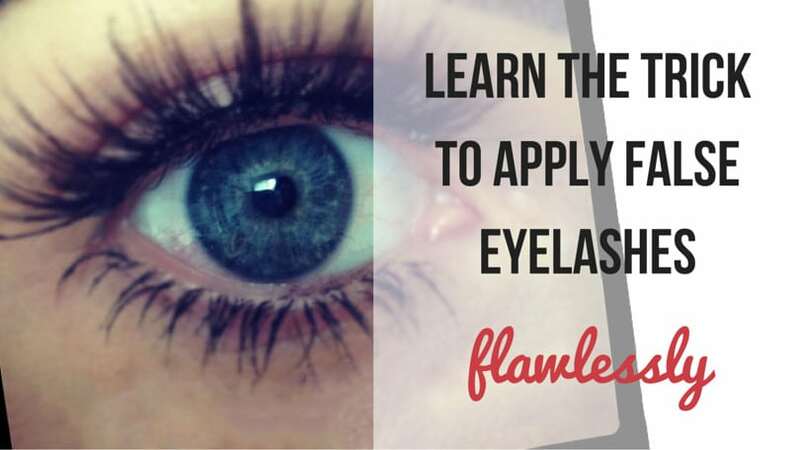 This will provide an optimal base and help your eyelashes merge with the falsies as one. To curl your eyelashes, lift up the eyelid, look straight forward, and curl them from the roots. Clump the curler shut only when you feel comfortable! Count to 5 and carefully open the curler. Repeat the first step, but this time push the eyelashes in for at least five seconds before releasing them. Apply the mascara: lift up your eyelid again and brush your eyelashes with the mascara wand from the roots to the ends, but with a special focus on the roots. in case you need it to be waterproof. If you stained your lids with mascara, simply use a cotton pad and a bit of water to remove it. 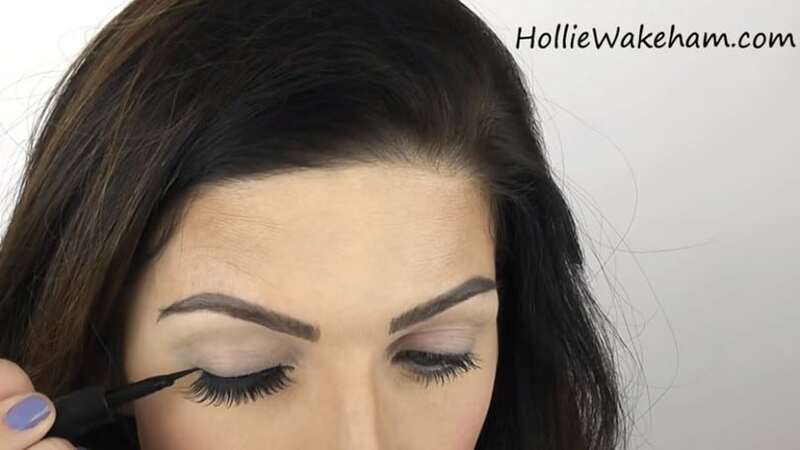 Take the false eyelashes from the packet using tweezers (Hollie used HD Brows tweezers, and the falsies Chloe by Lash Boutique, with include black glue). Measure the false eyelashes to see if you’ll need to trim them. Tip: the longest end is the one that must go on the outside corner of your eye. If you need to, trim them as many times as you need from the outside corner with the longest false lashes, and not from the inside one with the shortest ones. All eyes are different, so you must make sure you trim them according to your eye shape. 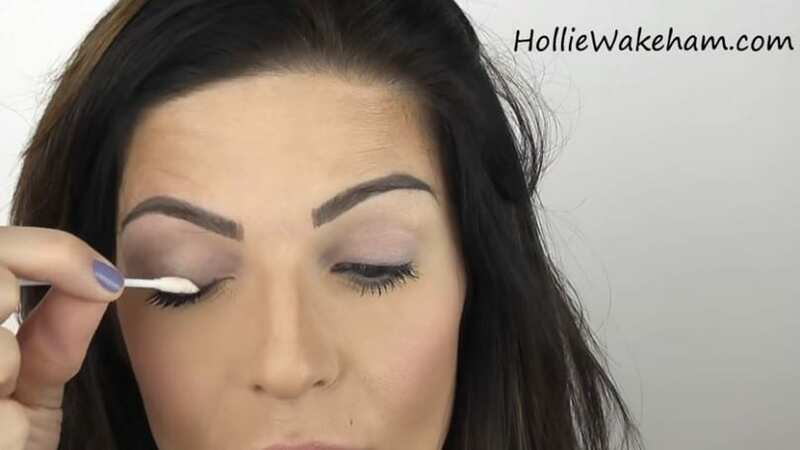 Hold the false eyelashes with either your fingers or your tweezers. Apply a thin line of glue along the lash base. 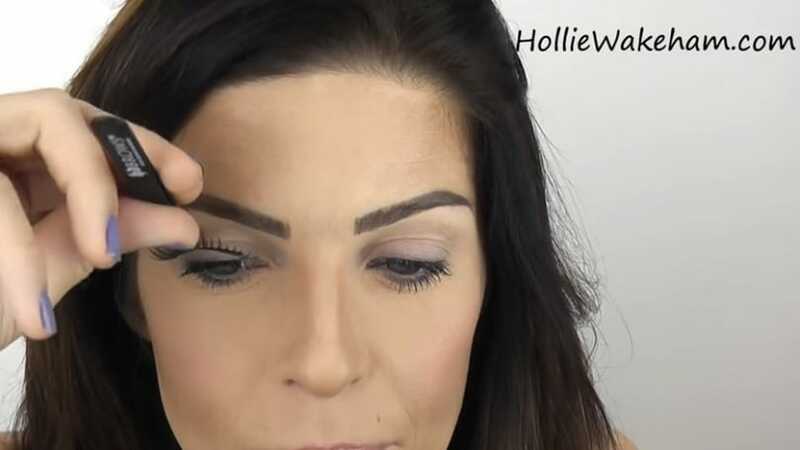 In case your false eyelashes don’t include glue, Hollie recommends DUO, which is waterproof. And here comes the trick: make sure you leave the glue dry enough until the glue goes tacky, because if you apply it while it’s still completely wet, you’ll have to hold and wait for it to dry for long, which can cause an almost guaranteed mess. To check when it’s already tacky enough, simply tap the glue with a finger. Once the glue is tacky, hold the false lashes by the middle with your tweezers or fingers, look forward in front of the mirror, and gently place them upon yours. Look down and hold down the false lashes by the outer and inner corners with your fingers. The amount of time for which you’ll need to hold it down depends on the quality of the glue you applied. Wait for a few seconds and try lifting your finger to check if the falsies pop up. If they do, they’re not ready yet, but if they don’t, you can tap them down just to be sure and move on to the next step. If your lower lashes are stuck with your upper lashes, you can separate them carefully with your tweezers. Pinch your lashes with the falsies to merge them together and make them look as one.